An affordable car that can fit a double bass and a 6-foot-2 teen? Not necessarily a tall order. "What I have found over the years is that you can fit a bass into almost any car," said Timothy Dawson, who's 6 foot 1 and has been a bassist with the Toronto Symphony Orchestra since 1980. "The model favoured by most of my bass-carrying colleagues, however, is a hatchback – you simply put down the back seats, lay the neck between the front seats, put the bass on its back and away you go." When Dawson was 13, he was in an Edmonton program that let Grade 9 kids learn on any instrument they wanted. "Dad drove me our little four-door Vauxhall Viva and dropped me off, fully expecting me to emerge with a flute – I came out two hours later hauling a huge double bass," Dawson said. "He didn't bat an eye – we put down the front passenger seat, stuck the neck in first to lay it down and I climbed in the back." Now, Dawson regularly carries two basses in the back of his Prius V, his "ideal bass-carrying car." "By also laying down the front passenger seat, I could actually carry three," Dawson said. "And there's plenty of headroom." But, a Prius V from 2012, the wagon's first year, costs $17,700, on average. While some suggest hatchbacks, as small as the Honda Fit, others suggest minivans such as the Dodge Caravan or SUVs such as the Ford Flex. Consumer Reports picked the best 2016 cars for tall drivers. Picks that could fit a bass – and have used models in your price range – include the Subaru Outback and Subaru Forester. To fit your budget, you'd have to go back to 2010 or 2011. The xB is a box on wheels. And that box fits tall people and their stuff. "The xB boasts more maximum cargo space than most rivals and even some mid-size SUVs," review site Edmunds says. "Passenger space is just as impressive, with enough head- and legroom for a quartet of tall adults." Edmunds liked the "surprisingly punchy" four-cylinder engine, spacious interior, the variety of optional add-ons and the funky styling. It disliked the centre-dash mounted gauges and the "so-so" gas mileage. There's a caveat on the cargo space. The xB has 1,980 litres with the second-row seats down – but only 328 L with the seats up. "By comparison, the diminutive Hyundai Accent hatchback has a much more generous 600 litres and the Honda Fit 583 litres," Globe Drive said. 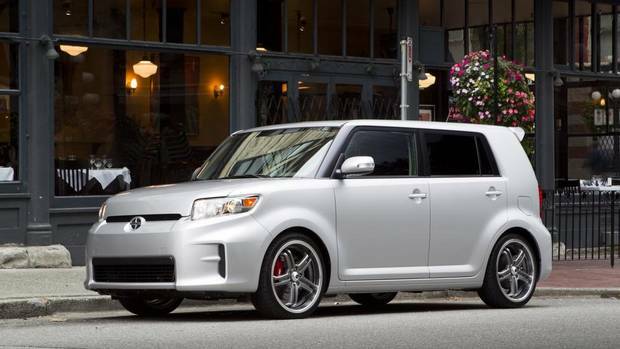 Consumer Reports gave the 2012 xB its top rating for used-car reliability. There were no recalls. 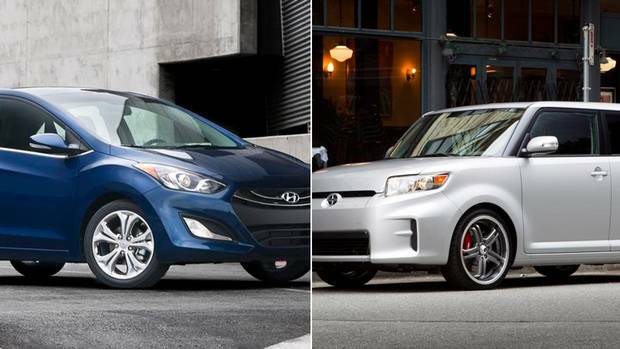 The 2013 GT, Hyundai's replacement for the Elantra Touring, traded frumpy for flair. "The GT functions as a station wagon – except wagon is not a word Hyundai Canada wants any part of, believing square-back cars are as out of function as bell bottom jeans," Globe Drive said. With 1,444 L of cargo space with the back seats down, the GT beat most of its rivals, Edmunds said. With the seats up, it has 651 L of cargo room. And, with the seats down, you get a flat floor that makes it easier to load long items. Edmunds liked the number of features for the money, the spacious and well-built interior and "the appealing balance of ride and handling." But it said the GT wasn't as sporty as rivals and had a sluggish automatic. 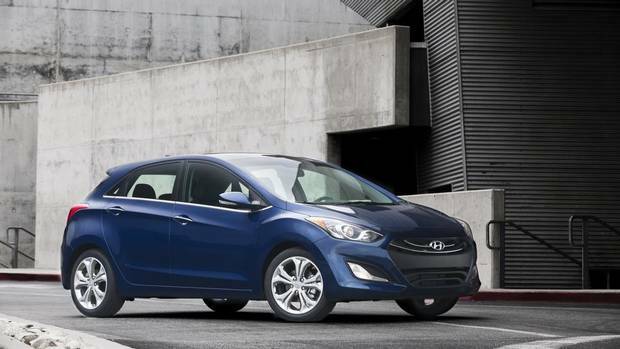 Consumer Reports gave the 2013 Elantra average used-car reliability.